Summer has flown by, and now the NFL season will kick off in just three weeks when the Kansas City Chiefs face the New England Patriots on September 7. This means fantasy football drafts are in full swing, so here are some rankings and team names to get you going. For the rankings, we'll list the top 36 wide receivers, the top 24 running backs and the top 12 quarterbacks, tight ends, kickers and defense/special teams units (with one bonus pick for each). Those numbers aren't random: Since the standard fantasy football roster has three wide receivers, two running backs and one of each for the other positions, all of these players below are deemed starting-caliber in a standard 12-team league. Then, we'll finish with the top 15 fantasy football names after reviewing picks from Sporting News, Athlon Sports and USA Today. Expect Cam Newton to have a resurgent year mainly because the Panthers' schedule isn't particularly challenging. In fact, only five of their opponents made the 2016 playoffs. Newton won the MVP just two seasons ago and now has a Swiss army knife-type on his team (rookie running back Christian McCaffrey). Expect big things from Carolina this year. Other players on the rise include the Philadelphia Eagles' Carson Wentz, who will benefit from having new wideouts Alshon Jeffery and Torrey Smith in the mix, and the Oakland Raiders' Derek Carr, who orchestrates an offense with fantastic potential with the additions of running back Marshawn Lynch and tight end Jared Cook. The New York Jets' Bilal Powell could end up being the steal of a draft, especially in point-per-reception leagues. In the Jets' last four games of the 2016 season, Powell averaged 5.0 yards per carry while catching 21 passes for 141 yards. He also found the end zone three times. While Matt Forte is the current starter in the backfield, Powell should see plenty of time on the field given his skill set. At the top, David Johnson and Le'Veon Bell are more 1A and 1B than one and two. They should both get plenty of touches, but Johnson should see more scoring opportunities since the touchdown wealth will be split in Pittsburgh between superstar wideout Antonio Brown and deep threat Martavis Bryant. 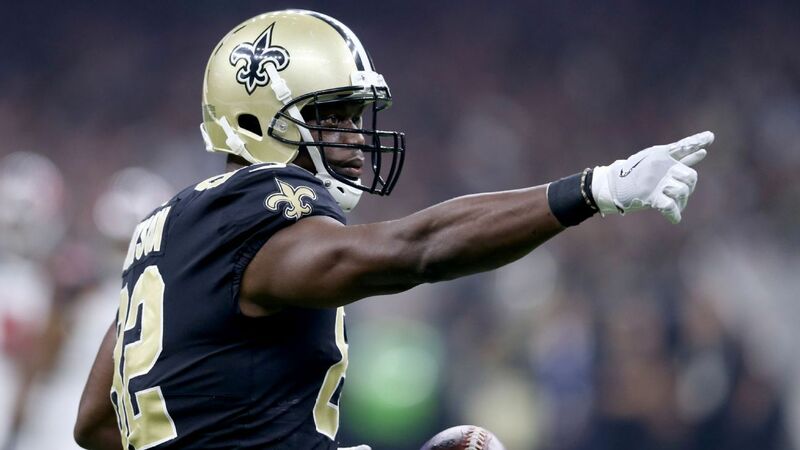 Michael Thomas is the man now in New Orleans as Brandin Cooks was traded to the New England Patriots in the offseason, and one has to wonder if he's capable of producing a breakout campaign that will put him in the top-four wideout conversation along with Antonio Brown, Odell Beckham Jr. and Julio Jones. Thomas is just that good. In his rookie year, he caught 92 passes for 1,137 yards and nine scores in 15 games. If he had not missed the Week 14 loss to Tampa Bay due to a foot injury, it's possible that he could have eclipsed the 100-reception and 10-touchdown marks in his first year, which is remarkable. If you're in a point-per-reception league, keep an eye on Minnesota Vikings tight end Kyle Rudolph and Philadelphia Eagles tight end Zach Ertz. Rudolph was first among all tight ends in targets last year with 132, catching 83 passes for 840 yards and seven touchdowns. He should be quarterback Sam Bradford's security blanket yet again. Ertz caught 73.6 percent of passes thrown his way last year, which ranked sixth among qualifying tight ends. Overall, he snagged 78 passes for 816 yards and four scores. With the Eagles on the rise on offense, Ertz could have an even better year. Baltimore Ravens kicker Justin Tucker has a bionic leg and will once again kick field goals of 50 yards or more with relative ease. He's far and away the best kicker pick this year. Stay partial to any kickers that (a) are fantastic, (b) kick indoors or (c) are on teams who will have plenty of scoring opportunities this year. The first seven kickers on this list fit one (or all) of those criteria. The Panthers defense should vastly improve this year as long as the unit stays relatively healthy. Julius Peppers should provide a boost to the pass rush, and veteran Captain Munnerlyn is an excellent addition to a young secondary that showed promise at the end of last season. The best linebacking corps in the game is still intact, as Luke Kuechly, Thomas Davis and Shaq Thompson form an excellent three-man unit. The Steelers defense should dominate early, which will be beneficial to any fantasy team that has them this year. If you are lucky enough to land Le'Veon Bell or if you grab Minnesota Vikings wide receiver Adam Thielen in the later rounds, you have plenty of options for team names if you're stuck this year. Otherwise, any Adam Sandler fans will love the "Billy Madison" reference (Doyle Rules), and Prince fans will undoubtedly be impartial to Little Red Fournette.